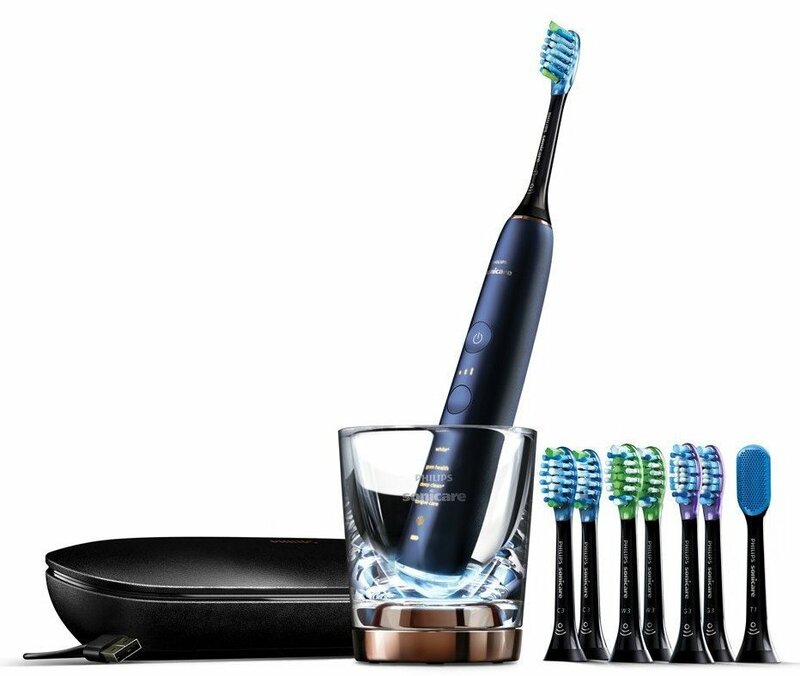 ” We Fully tested and reviewed different Electric Toothbrushes for Adults and came to agree that Oral-B Genius Pro 8000 and Philips Sonicare DiamondClean Smart are the Best Toothbrushes to get in 2019″. Real-Time Feedback, location , scrubbing & Pressure Sensor. A Charging & Storage stand. Charge the electric toothbrush: before using your toothbrush, you will need to first charge or insert new-batteries if it uses batteries. However, consider keeping toothbrush away from water within the sink because you may end-up accidentally knocking it and get electrocuted if the toothbrush is plugged into a power-source. Prepare your electric-toothbrush: after charging your electric-toothbrush, run it under some water and then apply a pea-sized dab of toothpaste on the brushing-head. However, you may also consider applying the toothpaste on your teeth and then use the toothbrush to spread the paste around the mouth. Divide the mouth into 4 quadrants: you will then need to divide your mouth into 4-quadrants which include; top, left, right and bottom quadrants in-order to perfectly tackle your brushing routine. In fact, this will help to ensure that you brush every section of mouth and teeth well. Additionally, you should spend about 40-seconds on each quadrant and remember to brush your tongue and roof of your mouth. Place the electric-toothbrush bristles along the gum-line: you will need to hold your toothbrush at a 45-degree angle to your gum-line in-order to keep the bristles in contact with your teeth-surface and gum-line because this ensures that you get the most effective brushing experience. Additionally, use gentle pressure because too-much pressure can injure your teeth and gums. Brush from outer-to-inner tooth surfaces: while maintaining a 45-degree angle, brush the outer-surface of 2-to-3 teeth using a back and forth rolling-motion and afterwards move to the inner-surfaces of your teeth and repeat the same procedure on all your teeth. Clean the biting surface, tongue and soft-palate: the biting-surfaces of your teeth should be cleaned during the brushing process and you should also remember to brush your tongue and palate in-order to remove debris and other odor-causing bacteria. Brush thoroughly and gently: you should spend at least 2-minutes brushing your teeth and that’s about 30-seconds per quadrant. Brush your teeth at least twice a day to prevent cavities and tooth-decay. On the other hand, you should avoid pressing too-hard when brushing because this can damage your gums and wear down the enamel. Store your toothbrush: after brushing your teeth and mouth, rinse-off the toothbrush-head and then return it to the storage-unit. This will actually help to maintain the integrity and life of your toothbrush. Additionally, you should avoid covering the toothbrush-head because this can promote growth of bacteria and make sure your toothbrush is kept in an upright position. Floss between teeth: dentists recommend flossing your teeth at least twice a day even with thorough brushing. This can actually help to remove plaque and food particles in-between your teeth that brushing can’t reach. Use an antiseptic mouth rinse: after brushing and flossing your teeth, rinse-out your mouth with some clean-water followed by a mouthwash. In fact, mouthwash has been proven to reduce on plaque, gingivitis and even promotes overall oral-health. The Oral-B Genius Pro 8000 is an electric-powered rechargeable toothbrush equipped with Bluetooth technology that allows you to pair it with your Smartphone in-order to facilitate for position-detection that uses facial-recognition to help you where you have brushed so that you never miss-out any spot. 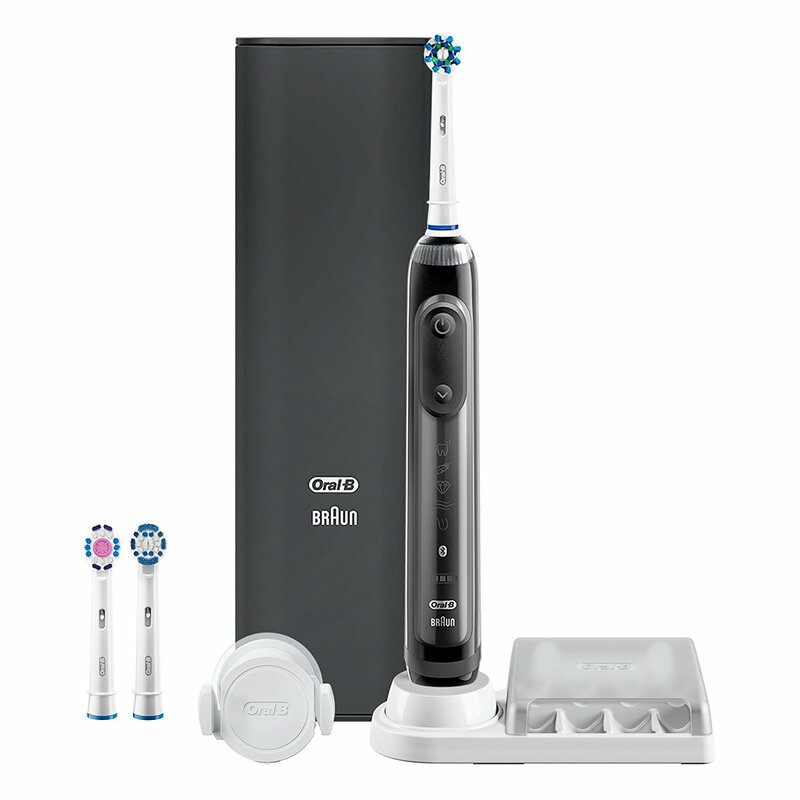 This toothbrush also features a customizable multi-color SmartRing that provides real-time visual coaching on brushing-time and pressure to help you brush like the dentist recommends while the integrated pressure-sensor automatically slows the brush-speed and visibly alerts you to protect the gums from over-brushing. Additionally, this toothbrush features 6 cleaning modes that will allow you to brush basing on your oral-needs while the integrated travel-case will allow you to charge the toothbrush and Smartphone at the same time. Bluetooth technology: You will be able to download the Oral-B app onto your Smartphone and then use Bluetooth-technology to get real-time feedback while cleaning your teeth thus facilitating for improved brushing-habits. Advanced Position Detection technology: With advanced Position Detection technology, the Oral-B Genius 8000 Pro will allow you to see where you’re brushing exactly so that can always adjust your brushing-technique and never miss-out a zone. A Pro-Timer: The Oral-B Genius 8000 toothbrush also feature an inbuilt 2-minute timer that helps you to brush for the right amount of time by making a beep so that you can always move onto the next zone of your mouth until all zones are brushed. Multifunctional 360º SmartRing: This SmartRing allows you to see feedback from pressure-sensor, brushing-timer and Bluetooth-connection with ease. 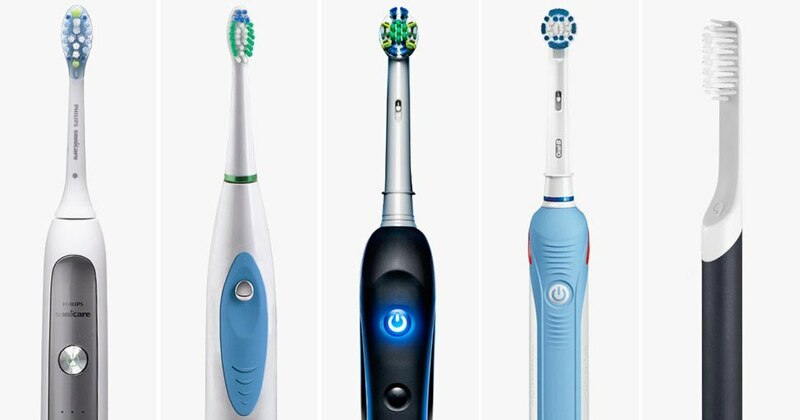 it can even be programmed through the Oral-B Smartphone app to illuminate up to 12-colors of choice as you brush. CrossAction toothbrush head: The CrossAction toothbrush head features a professionally inspired CrossAction toothbrush head with a round-design that facilitates for tooth-by-tooth cleaning and criss-cross bristles set at a 16 degree-angle in-order to reach deep between teeth so as to remove 100% more plaque for a superior clean. Triple Pressure Sensor: The Triple Pressure Sensor helps to protect the gums from over-brushing. In fact, the SmartRing will illuminate and then pulsations will slow-down or even stop when you brush too-hard. Additionally, the brush-handle can also be set to sensitive-mode to prevent over-brushing. A powerful lithium-ion battery: The Oral-B Genius 8000 toothbrush is equipped a great lithium-ion battery that delivers long-lasting and consistent cleaning-action for up to 12-days between charges. Additionally, this toothbrush comes with a smart-travel-case that helps to charge both the toothbrush and Smartphone using only one outlet. The Philips Sonicare DiamondClean is a smart electric-toothbrush designed to provide you with a complete oral-care experience. This toothbrush uses unique sonic technology to clean teeth with up to 31,000 brush strokes per-minute while its sweeping motions help to drive fluid deep into tight-spaces between teeth and along the gum-line resulting into a cleaner and healthier mouth. 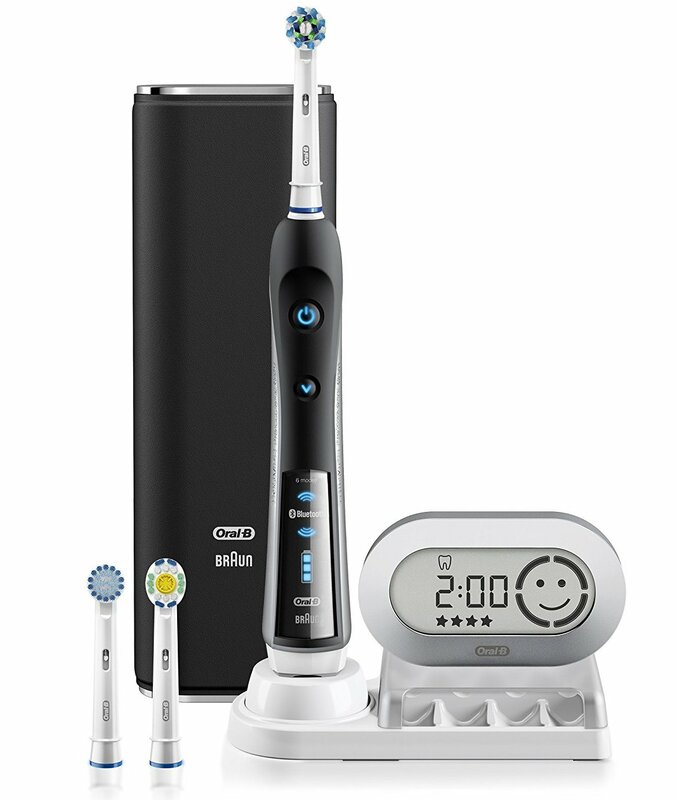 Additionally, this toothbrush comes with 4 different smart brush-head types that automatically pair with an appropriate brushing-mode and smart-sensors to provide you with real-time feedback when brushing teeth while the sleek glass charger helps to rinse and charge the toothbrush after brushing. The Philips Sonicare DiamondClean also features a powerful battery that will provide you with up to 2-weeks of regular use with just a single full-charge. 5 Modes and 3 Intensities: The DiamondClean Smart toothbrush features 5 brushing-modes designed to cover a range of brushing-needs. These modes include; clean-mode for daily cleaning, White+ for removing stains, Deep Clean+ for a thorough deep-clean, Gum-Health for effective and gentle cleaning of gums and Tongue-Care mode for perfect cleaning of the tongue. On the other hand, the 3 brushing-intensities allow you to choose between a higher, medium and lower settings depending on your brushing needs. Smart-Mode Pairing & Brush-Head Recognition: This toothbrush features an integrated microchip the brush-heads that tells that tells the handle which type of head you’re using and then automatically selects the optimal mode and intensity for that brush-head. Smart-Sensors: The DiamondClean Smart toothbrush features several smart-sensors which include; a location-sensor that shows where you have brushed and missed-spots, a scrubbing-sensor that reminds you to let the brush-heads so their work and a pressure-sensor that reminds you not to use too-much pressure when brushing. Functioning and Stylish Glass-Charger: With this glass-charger, you simply have to put the toothbrush into it after brushing and then it will instantly start changing the toothbrush. In fact, this glass-charger also acts as a rinse and even adds a stylish look to your bathroom. Oral-B Pro 7000 SmartSeries is an advanced electric-toothbrush designed with Bluetooth connectivity technology in-order to provide you with real-time feedback so that you can focus on brushing the most important areas and even track brushing habits over time. In fact, this toothbrush will motivate you with its helpful oral-care tips and even has a pressure sensor that warns you when brushing too-hard. On the other hand, this electric-toothbrush features a Cross Action round brush head that with perfectly angled bristles in-order to facilitate for effective and precise cleaning and its even clinically proven to break-up and remove up to 100% more plaque than a regular manual-toothbrush. Lastly, the Oral-B Pro 7000 toothbrush features 6 brushing-modes that will help you achieve the recommended brushing routine while its powerful rechargeable battery provides consistent cleaning-action and lasts longer between charges. 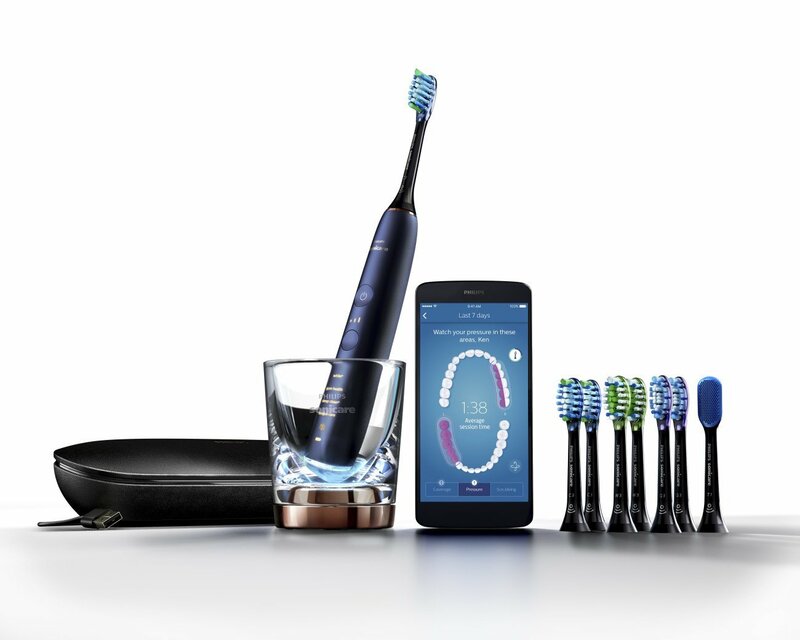 Bluetooth technology: The Oral-B Pro 7000 toothbrush is equipped with Bluetooth-technology that allows it to easily connect to your Smartphone after downloading the Oral-B app, this technology will actually allow you to get real-time feedback while brushing for improved oral-habits. The Oral-B app includes a Focused Care feature that allows you to implement the dentist’s recommendations while the Dental-Care-Journeys feature lets you follow a pre-programmed routine that matches your oral-care goals. 360º SmartRing: this toothbrush is equipped with a multi-functional 360º SmartRing that is visible from every angle when brushing. in fact, the SmartRing allows you to see real-time feedback from the pressure-sensor, brushing-timer and Bluetooth-connection with ease. Additionally, the SmartRing can be programmed through the Oral-B Smartphone app to illuminate with up to 12-colors as you brush depending on your color-choice. 3D cleaning action: The dynamic movement of 3D cleaning action allows the electric-toothbrush heads to adapt to your teeth they oscillates, rotate and pulsate in-order to break-up and remove more plaque than any regular manual-toothbrush. 6 brushing-modes: it’s equipped with 6 brushing-modes that will help you achieve the recommended brushing needs. These cleaning-modes include; Daily Clean, Sensitive, Whitening, Gum-Care, Deep-Clean, and Tongue-Cleaner. Pressure Sensor: The integrated Triple Pressure Sensor helps to protect your gums from over-brushing. In fact, the SmartRing illuminates and pulsations slow if you brush too hard. A Powerful Battery: The Oral-B PRO 7500 toothbrush features an inbuilt Lithium Ion battery designed to charge-up with lightning-fast speed while delivering long-lasting and consistent powerful cleaning-action between charges. The Philips Sonicare HealthyWhite toothbrush has been designed to offer dynamic brushing-action in order provide you with gentle and effective oral-cleaning while reaching between teeth and along the gumline with up to 31,000 brushstrokes per minute. This toothbrush is equipped with 2 customizable settings and 3-intensties in-order to help achieve best brushing routine while the integrated QuadPacer interval timer encourages thorough brushing of all quadrants. In fact, this toothbrush will remove up to 100% more stains and 7-times more plaque from hard-to-reach areas than any manual-toothbrush and it will also give you healthier gums within 2-weeks of regular-use. 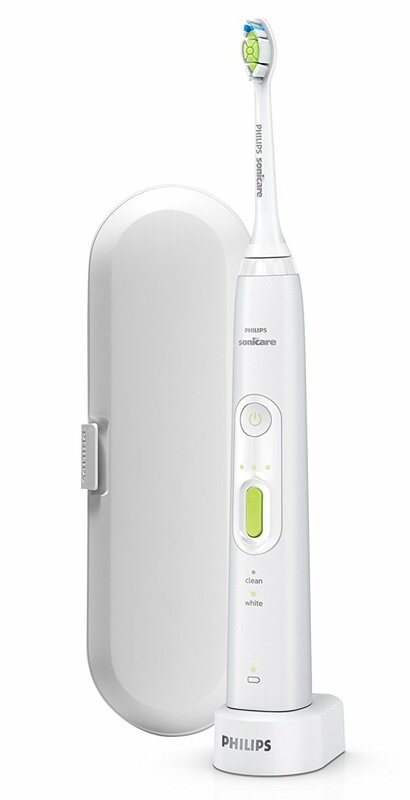 2 Customizable Settings: The Philips Sonicare HealthyWhite+ features 2 brushing-modes of clean and white. The clean-mode provides an exceptional everyday clean in just 2-minutes while the White mode helps to brighten and polish your teeth by simply removing everyday stains such as coffee, tea, tobacco, and red-wine. 3 Intensity-Settings: This toothbrush is equipped with 3 different intensity settings in-order to help you experience a comfortable brushing experience with a brighter and healthier smile. QuadPacer & SmarTimer: The integrated is designed to time 30-second intervals in-order to help you thoroughly brush each quadrant of your mouth. On the other hand, the SmarTimer lets know when you have brushed for the 2 full-minutes recommended by professional-dentists. A powerful battery and Led-indicator: The Philips Sonicare HealthyWhite+ is equipped with a powerful lithium-ion battery that can last for up to 3-weeks after a full-charge while the 2-color battery-indicator lets you know when it’s time to recharge the battery. The Waterpik Wp-952 is a complete care sonic toothbrush equipped with water-flosser in order to provide you with a more effective brushing and flossing experience while at home. in fact, this toothbrush features and ergonomic handle with an integrated water-control that features an easy-to-use on/off switch while the included 2 speed-settings facilitate for maximum-cleaning and gentle plaque removal. On the other hand, this toothbrush also features a deluxe recharge indicator and a 2-minute brushing timer with a 30-second pacer. 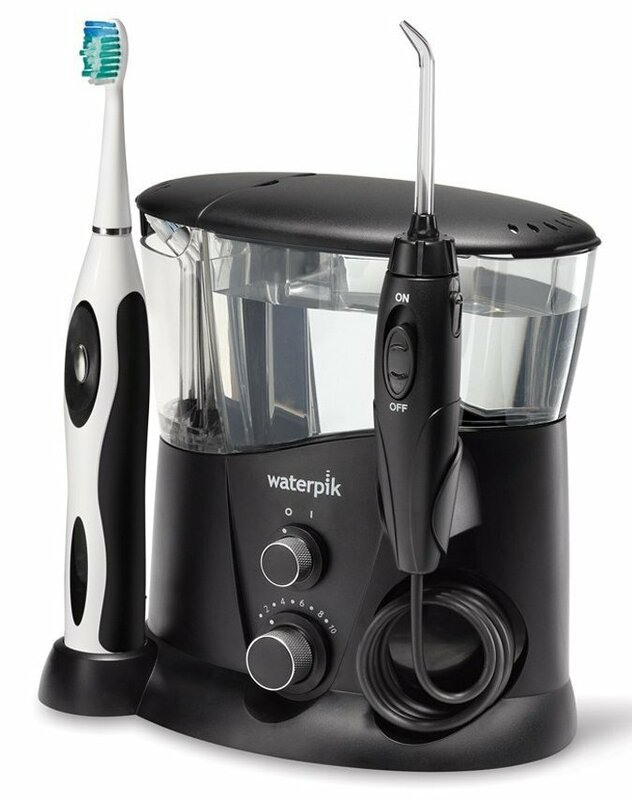 Lastly, the Waterpik Wp-952 is equipped with a powerful rechargeable battery that offers multiple uses on just a single charge high-volume reservoir provides 90-seconds of water-capacity during use so that you floss your teeth effectively. All in all, getting the right toothbrush will help to keep your mouth smelling fresh and healthy all the time and its recommended to brush your teeth after every meal and before going to bed in-order to hinder the growth of bacteria. So, try to go innovative in 2019 by getting your self one of the electric-toothbrushes featured in the post above.